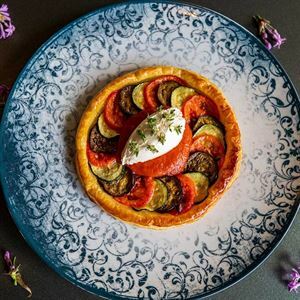 When hunger pangs and the urge for a coffee fix strike, stroll up from the sand and drop into Hand Coffee on Victoria Avenue in Broadbeach. 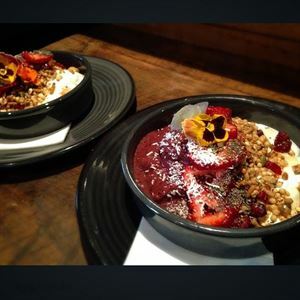 This hole-in-the-wall shop nestled in the Niecon Plaza serves exclusive Industry Beans Coffee from Melbourne in Instagrammable cups, along with a select range of fresh and healthy wraps, brownies and protein balls. Take a seat on recycled milk crates with a smooth brew in hand and soak up the sun while people watching over a vegetarian salad wrap with halloumi, pumpkin, spinach, carrot and tomato. 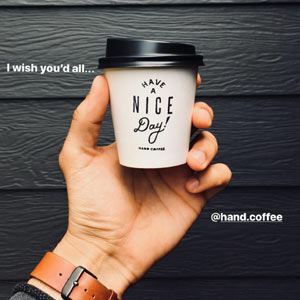 An acronym for Have A Nice Day, Hand also offers fruit, yoghurt and muesli cups for those on the go to accompany delicious treats like their Snickers protein ball with dates, cacao, organic peanut butter and coconut as well as juices and housemade cold brew. HAND Coffee is the best, we drive from Burleigh for our daily coffee ?? The best coffee I have had on the GC, owner is the barista and he certainly has done his coffee research! Having sourced their beans from Industry Beans in Melbourne, the only supplier on the GC too...Very impressed with this whole in the wall grab n go cafe.